Epiphany School installs 25 kW solar PV system through partnership with Solect Energy. 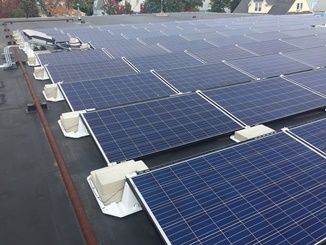 Epiphany School, an independent, tuition-free middle school dedicated to serving children from economically disadvantaged families, has partnered with Solect Energy of Hopkinton, MA to install a 25 kilowatt (kW) solar energy system on the roof of its Dorchester location. The solar array is expected to cover a portion of the school’s annual electricity use.